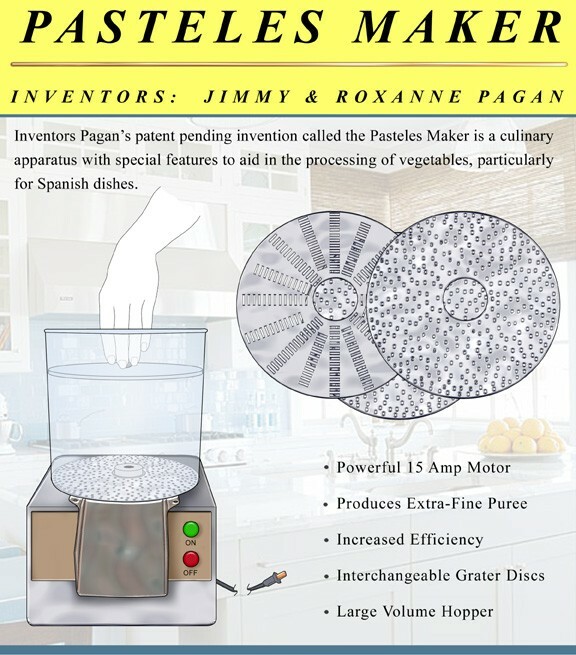 Pasteles Maker - No more stress and frustration when grinding your favorite vegetables for a delicious Pasteles! No more stress and frustration when grinding your favorite vegetables for a delicious Pasteles! As a young boy growing up in Puerto Rico, I, like many of you who are purchasing this product, have fond memories of my mother and grandmother making Pasteles for the family. It wasn’t until I was older that I realized how hard my mother and grandmother had to work to make those wonderful tasting meals. When I got married and saw my wife making Pasteles the same way my family did years ago, getting her hands all raw and scraped from grinding the ingredients, I knew there had to be an easier way! Thank goodness for modern technology. With the Pasteles maker you can grind all the ingredients in no time at all and with little clean up you are ready to cook. Best of all no more scraped knuckles! Please watch for our product which will be coming to the market soon. With new technology we are able to make the Pasteles Maker affordable for every household!